BERRYVILLE, Va. — Four athletes who competed on state championship teams and graduated in 2007, a championship coach and two long-time contributors will be inducted into the Clarke County Athletic Hall of Fame at the induction ceremony Friday during the Eagles’ football game against Manassas Park at Wilbur M. Feltner Stadium. The Hall, started in 1990, has 163 members. A pre-game reception, sponsored by the Bank of Clarke County, will be held before the game and the inductees will be recognized at halftime. No track and cross country athlete at Clarke County can equal Biddle-Snead’s career as he captured six individual golds and three silvers in helping the Eagles win five team titles. In cross country, he won a pair of state titles and was runner-up once. As a sophomore, he was undefeated in district, regional and state competition as he led the Eagles to the state team title. He followed that up with another stellar year as a junior, again claiming district, regional and state titles as Clarke defended its team title. In his senior year, Biddle-Snead was injured and could not compete at districts, but won regionals and placed second at states. He helped the Eagles win their third straight team crown. He was The Winchester Star’s Cross County Runner of the Year in his final three seasons. Biddle-Snead was also a standout during the track season. As a freshman, he won both the 1,600 and 3,200 at districts. He won the 3,200 at states and was fourth in the 1,600. As a sophomore he was again Bull Run district champion in both the 1,600 and 3,200 as the Eagles won the district title. He defended his title in the 3,200 and placed second in the state meet as the Eagles placed second. He led the Eagles to their first state track & field title as a junior, winning the 3,200 for the third straight time and placing second in the 1,600. He won both of those events at the district meet. He captured his fourth consecutive 3,200 gold and took bronze in the 1,600 as the Eagles defended their state title in 2007. He won both events at districts. He attended the University of Virginia and competed on its track and cross country teams his freshman and sophomore years. Leslie Hardesty Kerr was a four-sport athlete, participating in volleyball, basketball, track, and soccer. She was a four-year varsity starter and two-time team captain in basketball, a four-time all-state pick in soccer, a two-year letterman in volleyball and lettered her only season as a freshman in track. 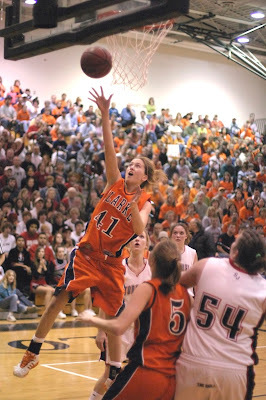 In basketball, she helped lead the Eagles to a state runner-up finish in 2006. Despite missing part of her senior season after a soccer injury the previous spring, Hardesty Kerr helped the Eagles capture their first state basketball crown in 2007. In soccer, Hardesty Kerr was part of two state champion teams as a sophomore and junior and part of a runner-up team as a senior. She was Bull Run Player of the Year and State Player of the Year and Winchester Star Player of the Year as a junior. She was selected for the VHSL All-Star game and was the Virginia Wendy’s High School Heisman winner. Warner Whitworth lettered in volleyball, basketball, track and field and soccer. In her four years, she competed in seven state championships and her teams won four state titles. She lettered three years in basketball. As a junior, she was Bull Run District MVP and first team All-State as she helped the Eagles to a state runner-up finish. As a senior, she repeated as Bull Run District MVP, was VHSCA Co-Player of the Year for Group A and The Winchester Star’s Player of the Year as the she led the Eagles to the state title. She was the area leader in steals and was selected to the VHSCA All-Star game. 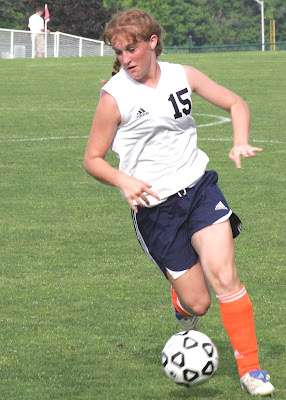 She was a varsity starter in soccer all four seasons as Clarke won four straight district titles. She helped the Eagles win a pair of state titles (2005, 2006) and place second (2007). She competed in track in her sophomore and senior seasons. As a sophomore she set a school record in the triple jump. As a senior, she won district titles in the high jump and triple jump and was part of the winning 4x400 relay team. Individually, she placed sixth in the high jump (tying a school mark) and eighth in the triple jump at states. The 4x400 team won the state title, breaking a school mark. In volleyball, she was a three-year varsity starter. She went on to play basketball for one year at University of Mary Washington. Waters participated in both track and basketball, helping the Eagles net a pair of state titles. In basketball, he lettered his junior and senior years for the Class A champs. His steal with 20 seconds left led to the Chandler Rhoads’s game-winning basket with 12.6 seconds left in the 2006 title game. As a senior, Waters was Bull Run District Player of the Year and first team All-State. He led the area in assists, blocks, and shooting percentage. He set a state tournament record with 24 blocks over the three-game tourney and set a school mark with 294 blocks in just two seasons. He competed in the shot put in track as a senior. 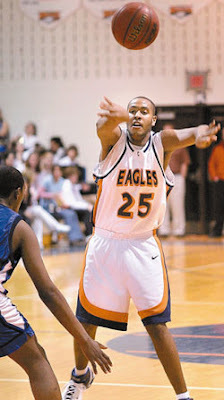 He went on to play basketball at Ferrum College. Lawrence coached three sports at Clarke, but was outstanding as girls’ basketball coach from 2004 to 2013, leading the program to three Finals Fours, one runner-up finish and a state title in 2007. 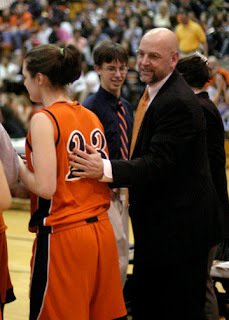 His second season he led the team to a school record for victories and a state runner-up finish with a 29-1 record. He was honored as Bull Run District and Winchester Star Coach of the Year. 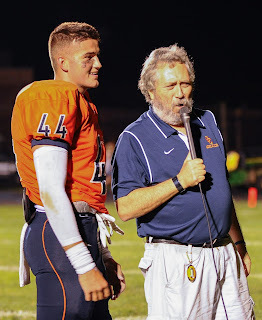 The following year, he led the team to the district, regional and state titles. He received district, regional, state and Winchester Star Coach of the Year honors. In 2012-13, the team advanced to the Final Four and he was again The Winchester Star Girls’ Basketball Coach of the Year. In nine seasons, he had a 159-74 record. Seven of his players went on to play at the college level. He also coached boys’ tennis for three seasons and boys’ JV basketball from 1997 to 2004. Murphy founded Clarke County Sports in 2003 and the website has run continuously since 2003. It has covered virtually every sport at one time with continuous coverage of the football program since 2003. Murphy also covered the high school for several years as a reporter/photographer for the Northern Virginia Daily and as a reporter, photographer, and eventual sports editor of the Clarke Courier. The school created the Moe Murphy Journalism Scholarship in 2007 in his honor, annually awarding a deserving Clarke County journalism student with a scholarship. Originally serving on football sidelines beginning in 1983 while regularly treating injured athletes at his Winchester Physical Therapy and Sports Medicine facility, Deuel has delivered hands-on treatment of Clarke County and local team athletes. 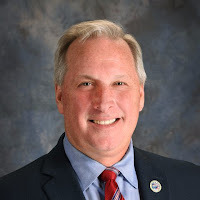 Besides his support and assistance at Clarke County sporting events, his membership, training, and participation literally all over the world has made Deuel invaluable with his knowledge and management of sports injuries.